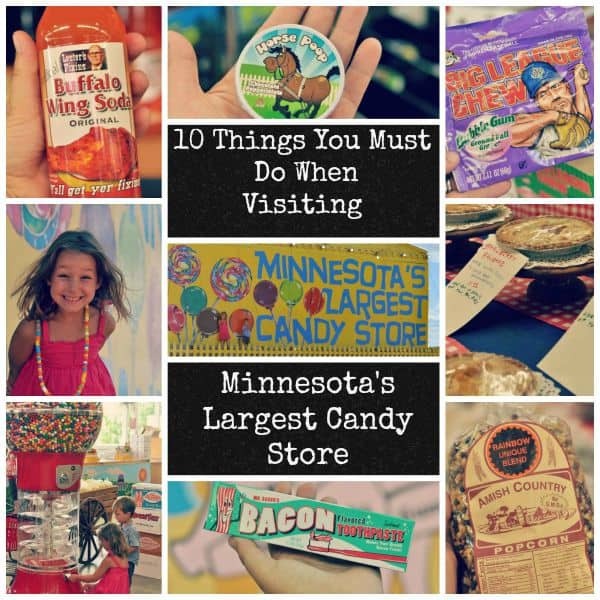 Headed out to visit the Largest Candy Store in Minnesota? 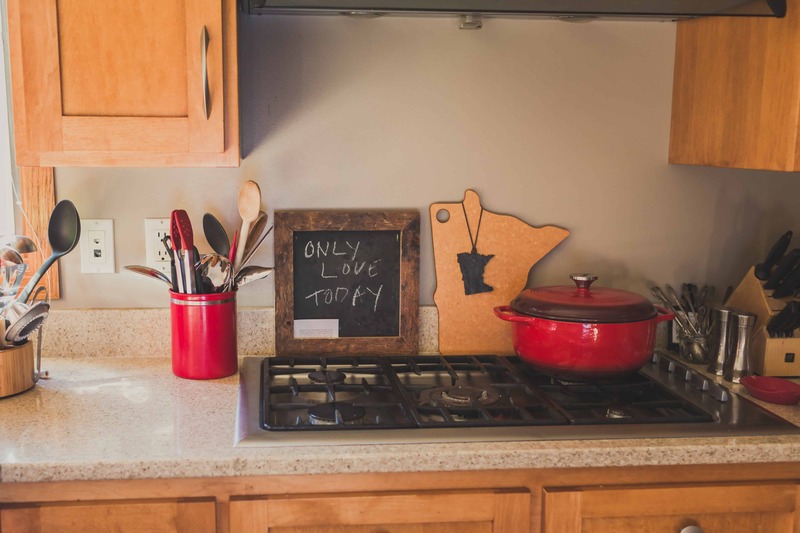 Be prepared with this list of 10 things you must do! When I pulled up in that sandy parking lot, I had no idea what to expect (they don’t have a web page or phone number). 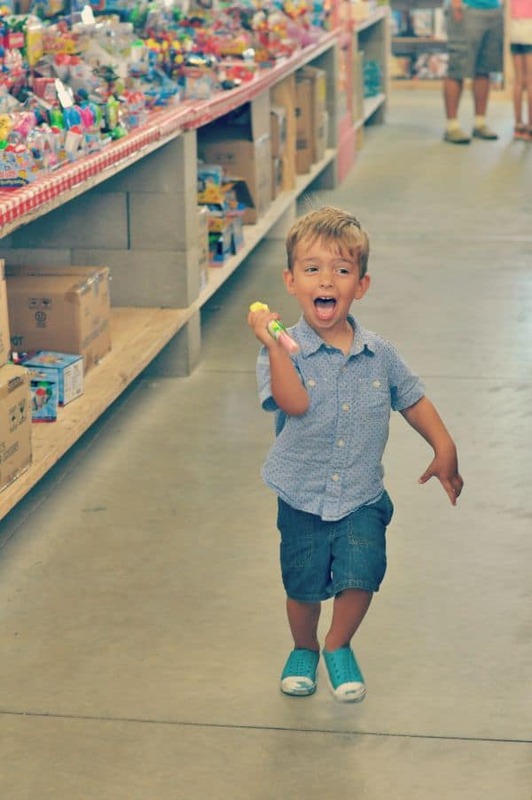 The kids and I wandered the aisles finding treasure after treasure. 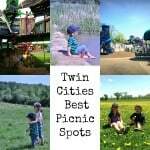 It was a quick drive from the Twin Cities and the kids and I had a blast. 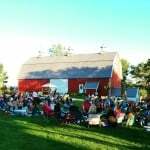 This is a must entry for your Minnesota summer bucket list. 1. Buy a unique soda. As soon as you walk into the Largest Candy Store in Minnesota, you’ll notice the soda displays. For grape aficionados like myself, you’ll be pleased to see rows of grape goodness. 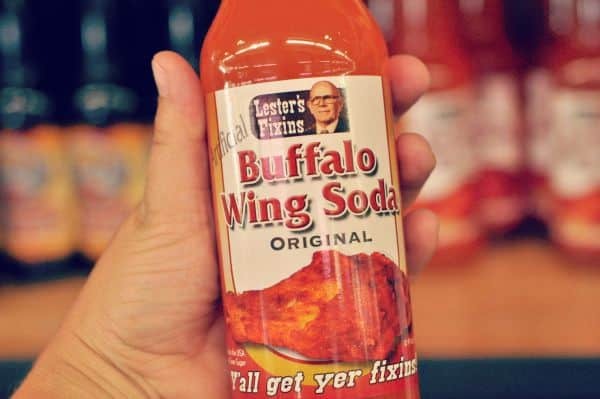 But I recommend trying something fun when you visit like a Buffalo Wing Soda, Peanut Butter and Jelly, Maple Bacon or even Ranch Dressing. Yes. Ranch Dressing Soda. 2. Buy something with Bacon. There is a whole section of bacon candy products at the Largest Candy Store in Minnesota. 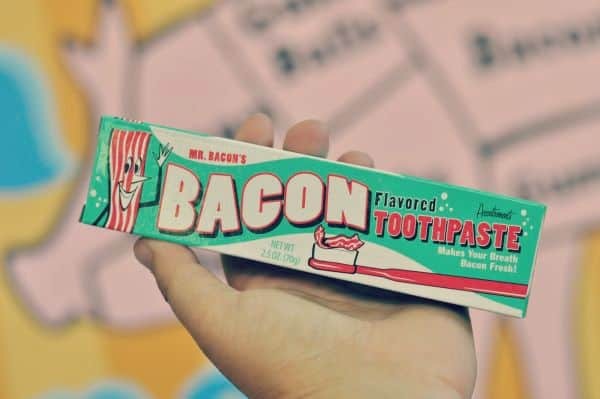 And yes, I found Bacon toothpaste. You know for those mornings when you miss that smoky maple taste in your mouth. I skipped the bacon toothpaste but bought myself a bacon candy necklace. In addition to bacon candy, there are also apple pork products including real bacon that is apple smoked. 3. Buy a candy from your childhood. I love grape candy. 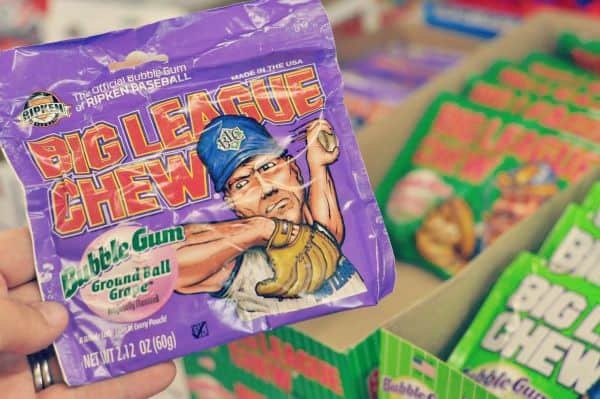 And one of my favorite childhood candies is Big League Chew. I also found Pop Rocks and Charms candy. 4. Buy something homemade. 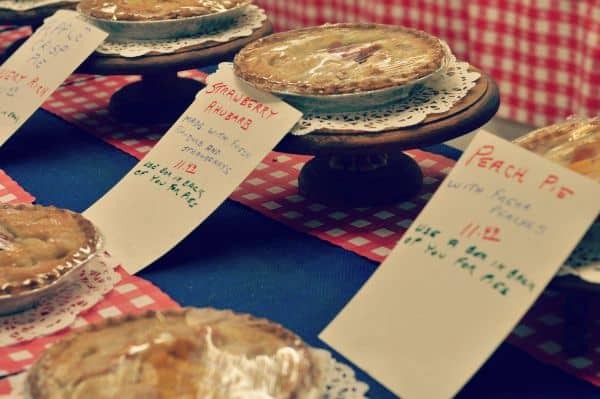 Minnesota’s Largest Candy Store has several homemade products including pies, nut rolls and apple pastries. We went home with the Strawberry Rhubarb and it was delicious. 5. 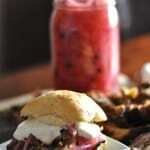 Buy a cool food product. In addition to candy, the store also has salsas, chips, dried pasta and assorted other food products. 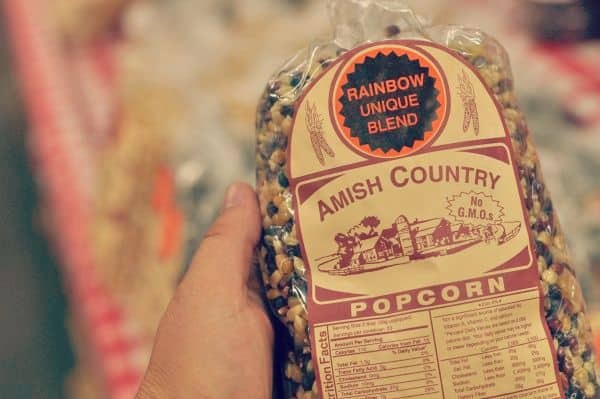 I picked up some rainbow popcorn for family movie nights and ABC pasta for back-to-school lunches. 6. 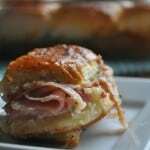 Buy something to eat on the drive home. My pick for driving home candy was a homemade nut roll and the kids picked a sour candy necklace. Which, by the way, was a huge hit with the kids. I forgot how much fun candy necklaces are! 7. Buy a funny candy that will make you and the kids laugh. We all laughed when we walked by the “poop candy” area. 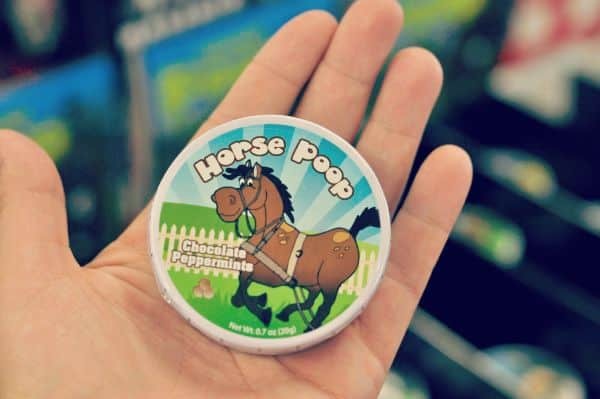 We went home with the Horse Poop and the kids are still laughing about it. 8. Buy a gumball from the giant gumball machine. 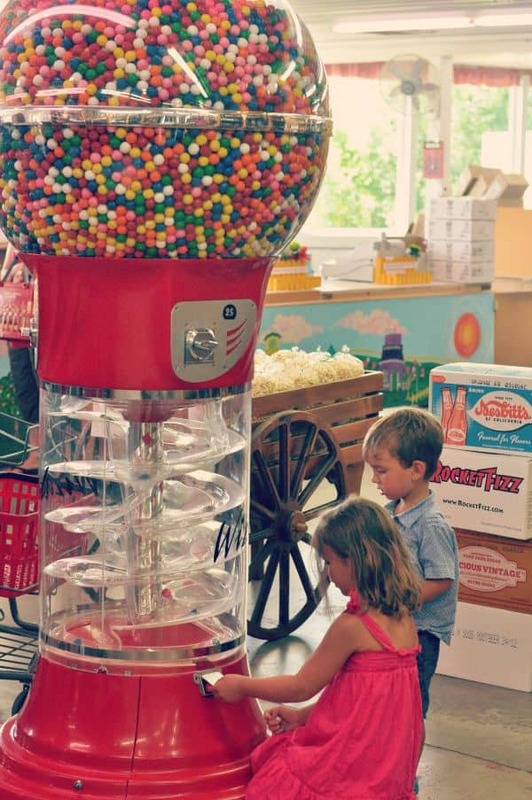 When you walk into the Largest Candy Store in Minnesota, you’ll see a giant gumball machine! The kids loved it. And before we even started walking around the store we grabbed a piece of gum. 9. Pull your car around and take a photo on the giant sign. There is a small walkway where you can lift kids up so they can take a fun picture in front of the sign. In addition to the candy this a fun keepsake of your visit. 10. Bring cash because without it, you can’t have any candy! They have an ATM available, but cash is the only way to buy all the candy and food you want to take home. 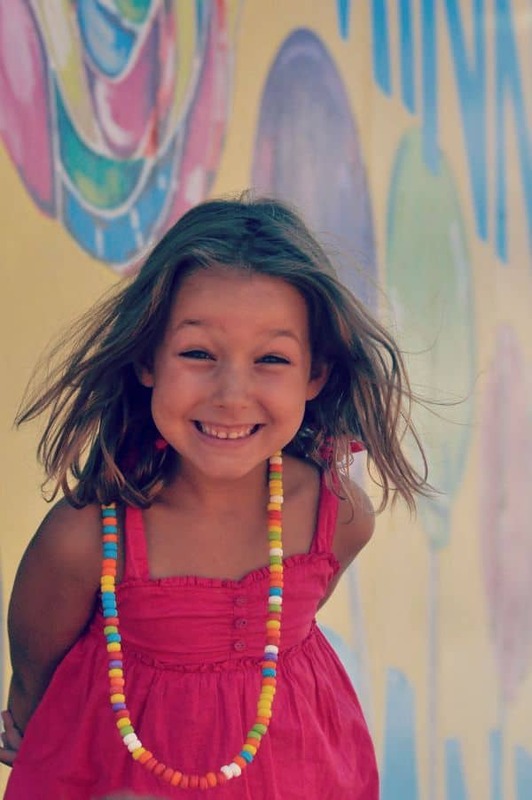 Don’t forget the cash, you wouldn’t want to disappoint this happy face! They don’t have a webpage, but you can find them on Facebook. Minnesota’s Largest Candy Store is a seasonal business and open 9am-7pm seven days a week until November 30. Did you visit the store? Tell me your favorites! 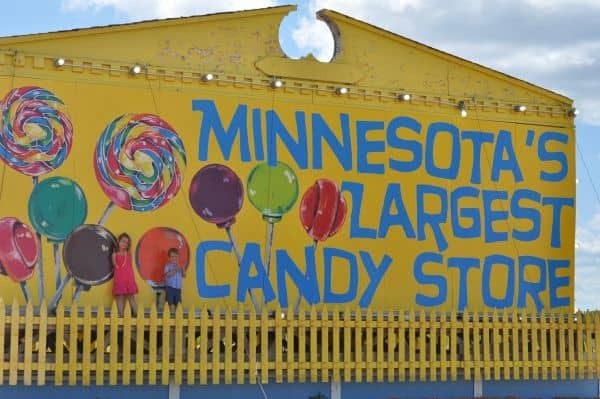 This entry was posted in Fun, minnesota and tagged candy, family, Largest Candy Store in MInnesota, Minnesota, Minnesota's Largest Candy Store, summer by Alice Seuffert. Bookmark the permalink. I went to college at Gustavus so anytime we were driving back to school on Sundays we would stop and get a treat for the rest of the week, I used to buy Dad’s Rootbeer (love that brand!) and they didn’t have the crazy pop flavors back then, so I’ll have to go for another visit soon. The pop flavors are wild! I love grape but am super excited to try the weird ones too! 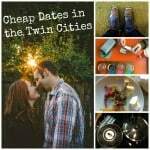 We visited Minnesota’s Largest Candy Store last fall. Such a fun place! If you love shopping for puzzles, you will be in paradise. Loved all the different kinds of canned pickles. Our favorite purchase was the homemade caramel apple pie! Absolutely Delicious!! Excited for a return visit.